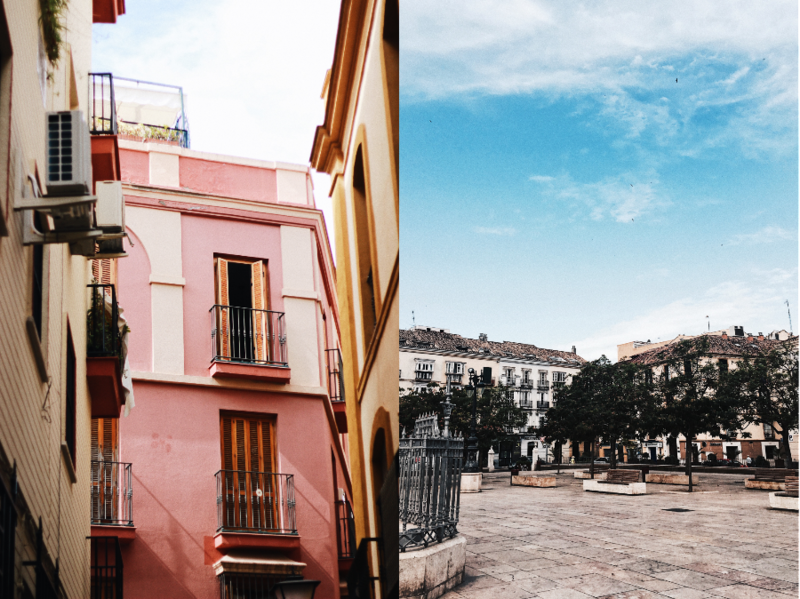 This year Paul and I traveled to the south of Spain, to explore Andalusia. 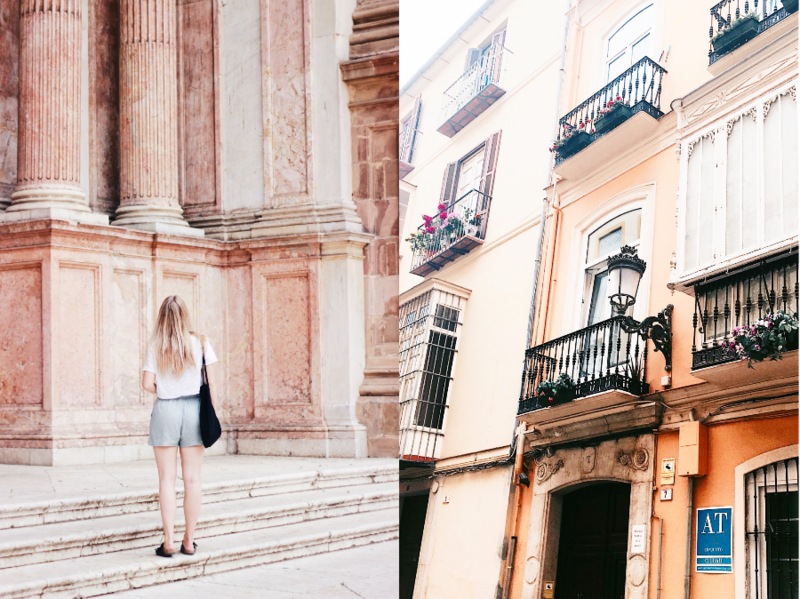 First stop: Málaga, afterwards we've also seen Sevilla, Cádiz and Ronda in about two weeks. It was lovely to be away from home, to explore every day and to see a bit more of the world. 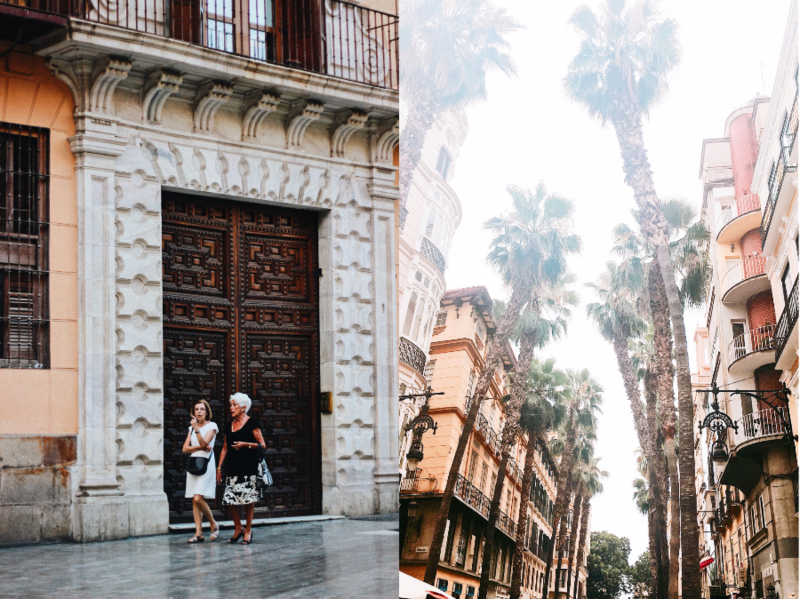 Let's go a little while back to when we were still in Málaga. "We arrived in this breezy city yesterday evening. We went out for tapas and sangria right after we setteled at the place we call home for the coming two nights. We sat down right in front of the Cathedral and enjoyed the first evening. Our little appartment, called Lenid, is lovely. Very cosy and tiny but we have a fine bed, a very wanted airco and also a little kitchen, plus it's right in the city centre. At the moment we're laying at the beach in Málaga, the same one we visited yesterday evening after dinner, but now in the hot sun, I hope I will get (a little) spanish tan. It is just lovely to lay in the sand and hear the waves crashing in at the shore. We started our day by visiting the Alcazaba, which was a dream. Now we've seen this I can't wait for the Royal Alcazar in Sevilla. I just fell in love with all the Moorish details and the pretty mosaic which coveres many walls there. Afterwards we wandered around the city for a while, this city has so many pretty (and coloured) old buildings, which (as you may or may not know) I love very much. Also the fact that the beach is so near this city is a big plus point. We has dinner at Casa Lola tonight. 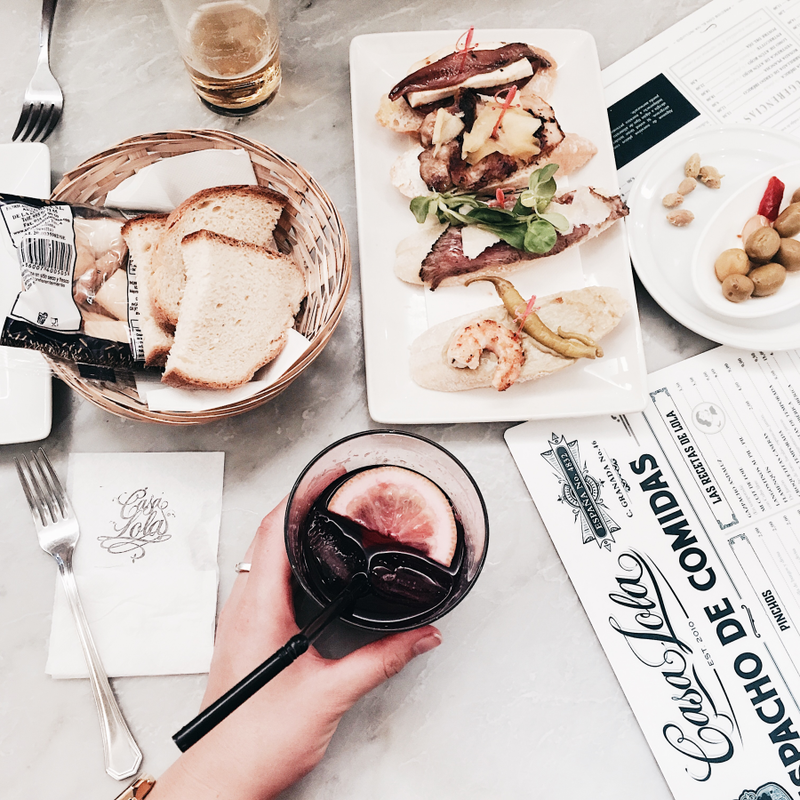 Even though it was in a very touristic area there were a lot of locals there and the menu came only in Spanish... so we just ordered a lot of tapas and didn't know what we would get on our (pretty marble) table. It was fun ordering so many 'suprise tapas.' We got some pinchos: small sandwhiches with many toppings, gamba's, little burgers and grilled vegetables. Oh and for dessert we went somewhere else to get some ice cream: Casa Miron, which is famous for their Turrón (nougat) flavoured ice cream. It was one of the best ones I've every had. 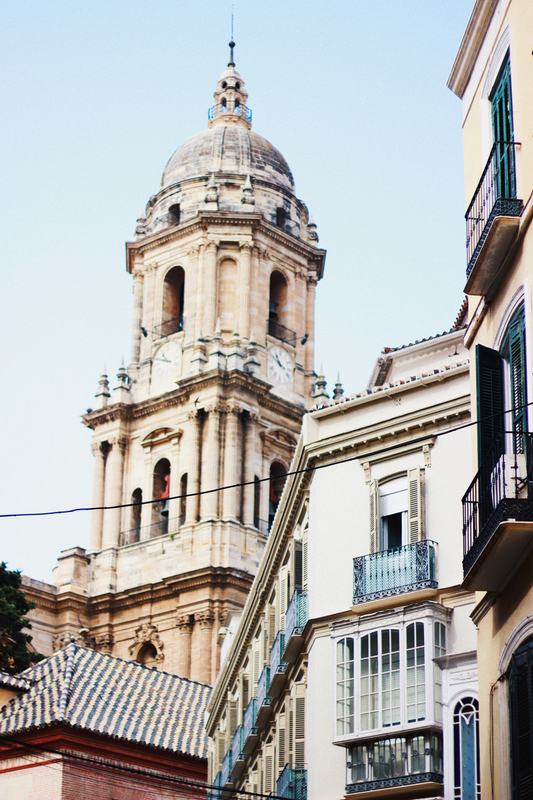 Tomorrow we're leaving Málaga to go to Sevilla already, where we'll stay for three nights. 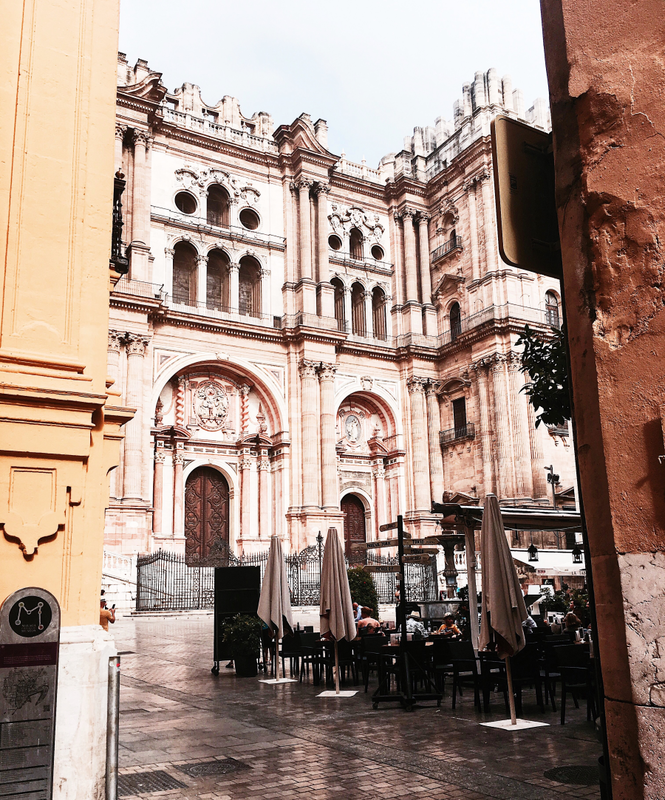 Málaga has been very lovely, and I must say, I think I'll go back here some day... maybe. Now we are back at our appartment, relaxing a little in the airco filled room before we go to sleep." ah het klinkt zoooooooo lekker & prachtige foto's! 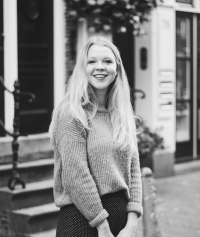 Prachtige foto's! De tapas zien er heerlijk uit! heeerlijk, echt zo fijn dat buitenlands sfeertje in je foto's.